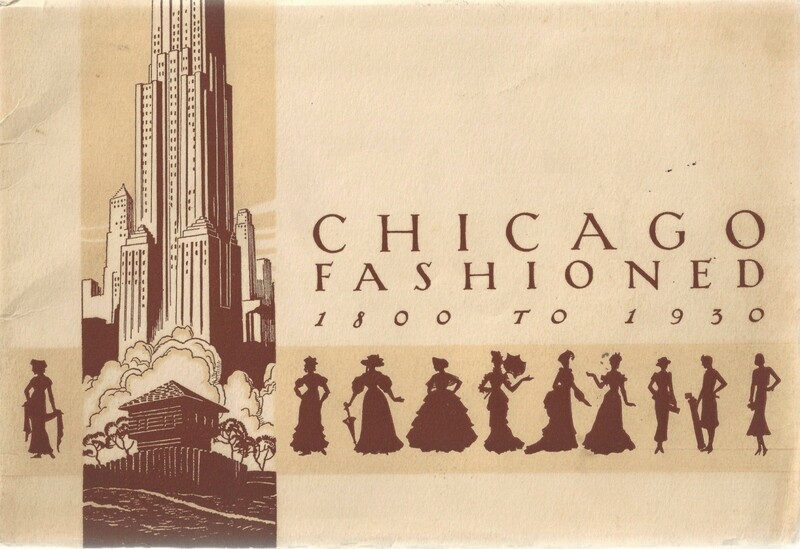 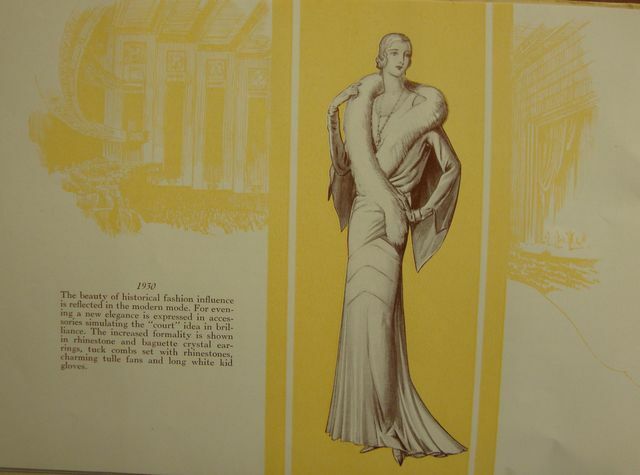 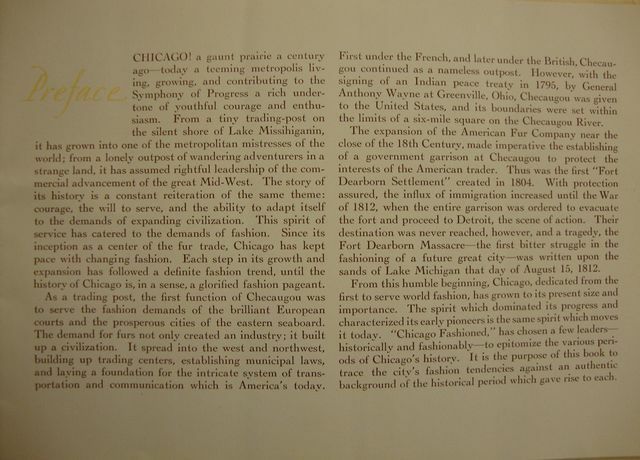 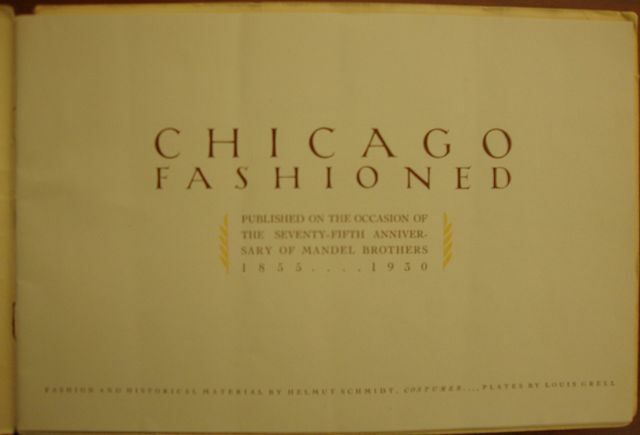 Published by Chicago based Mandel Brothers department store in 1930 to commemorate their seventy-fifth anniversary. 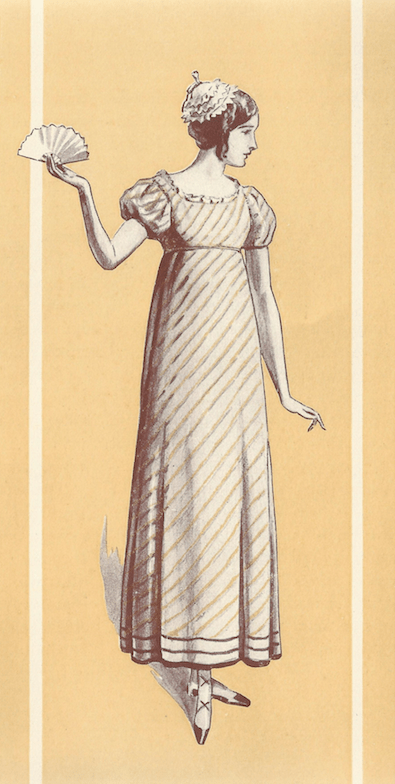 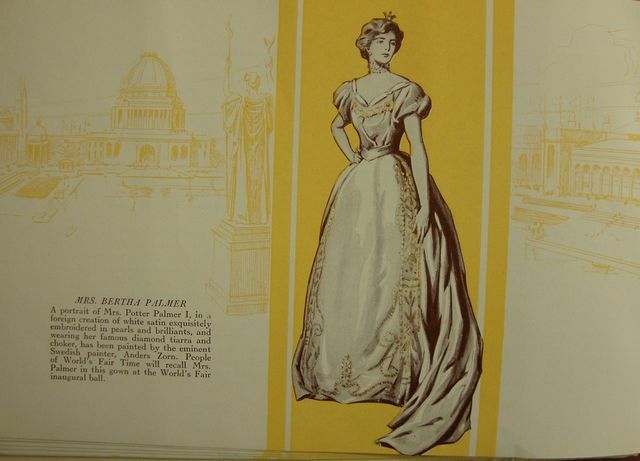 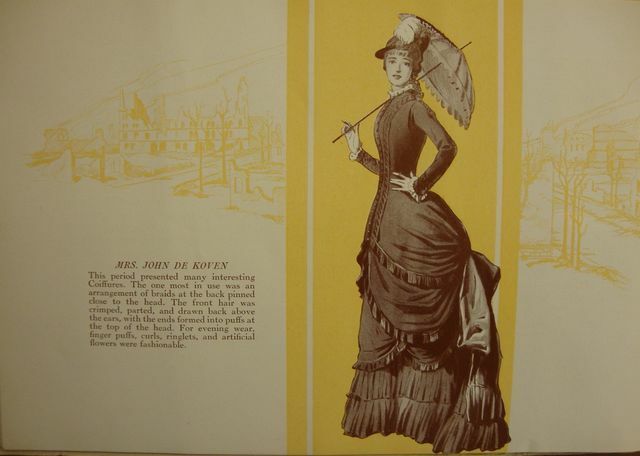 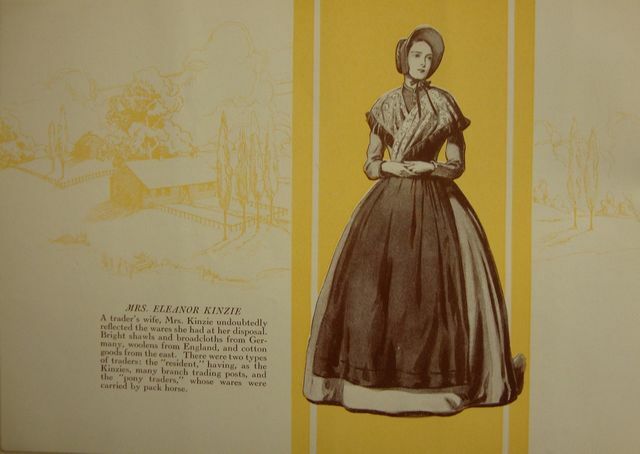 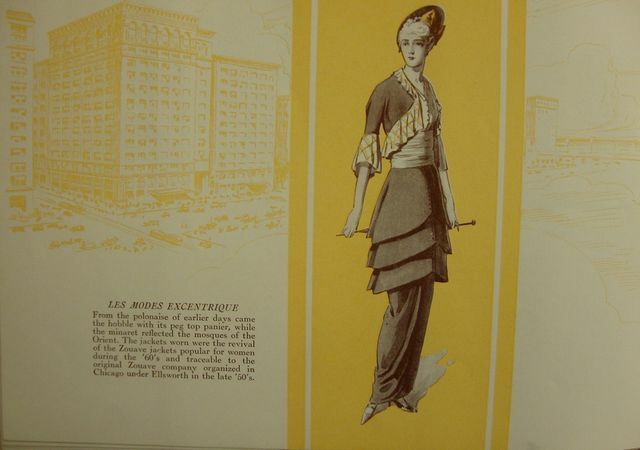 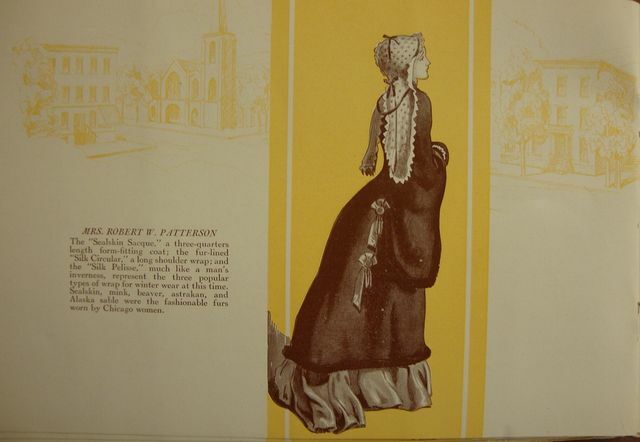 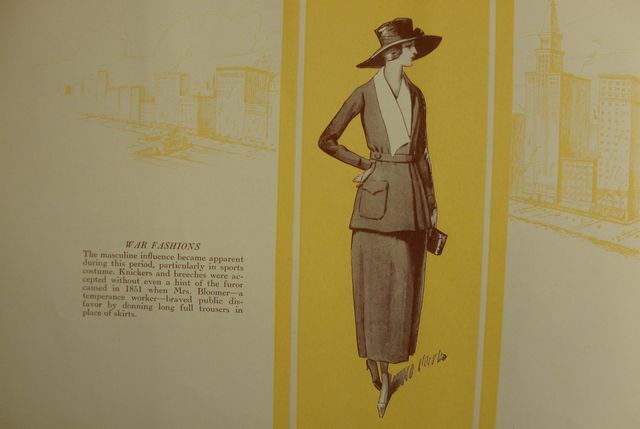 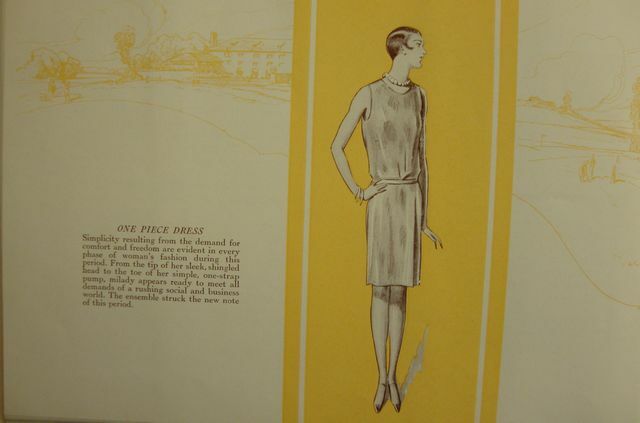 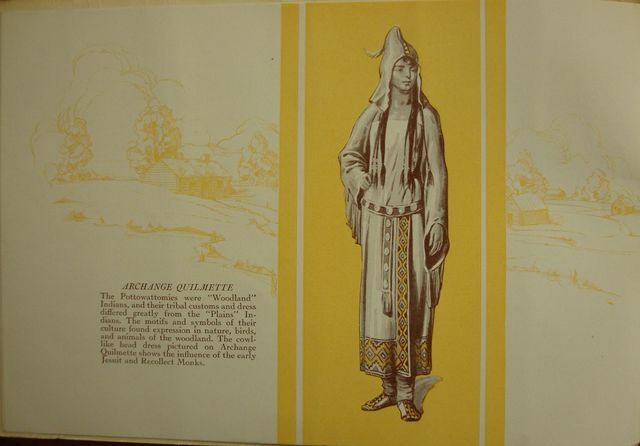 This publication celebrated famous Chicago woman from 1800 to the 1930’s. 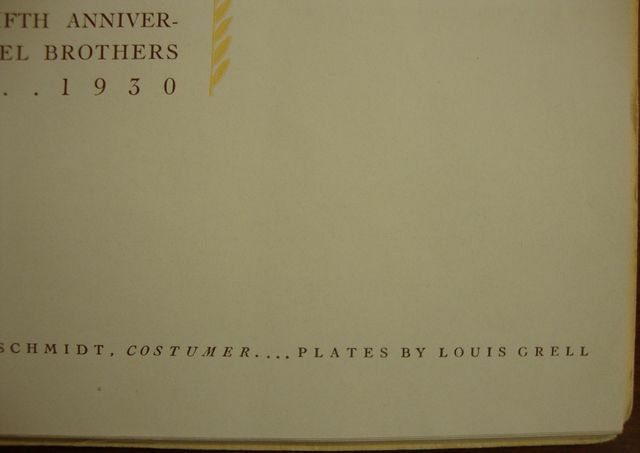 Plates by Louis Grell. 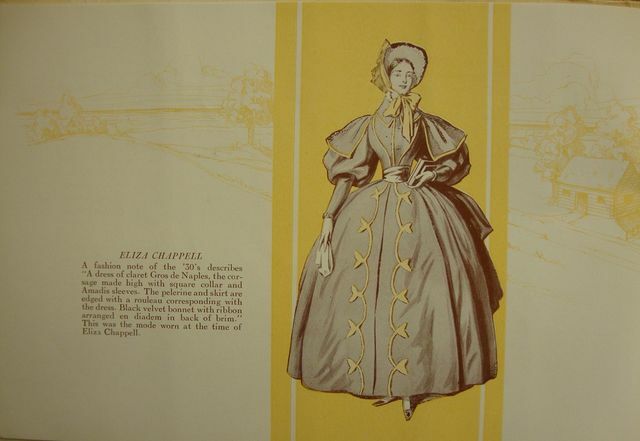 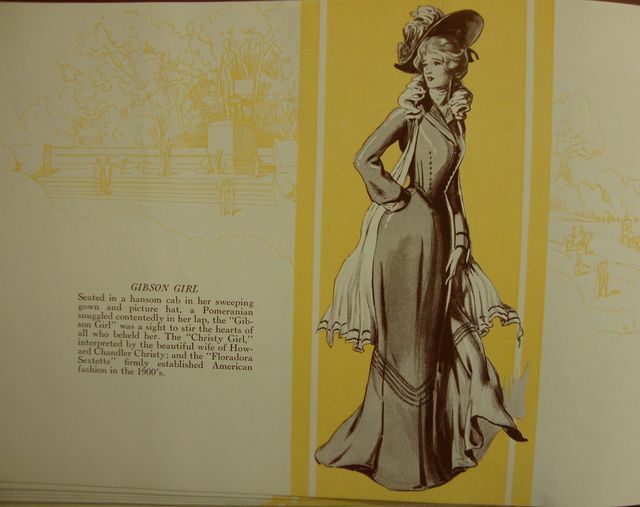 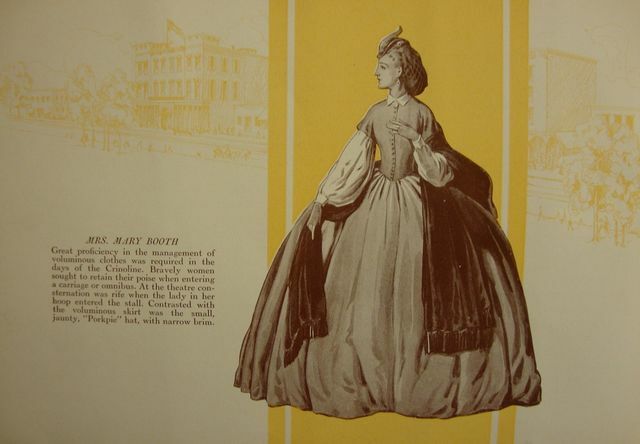 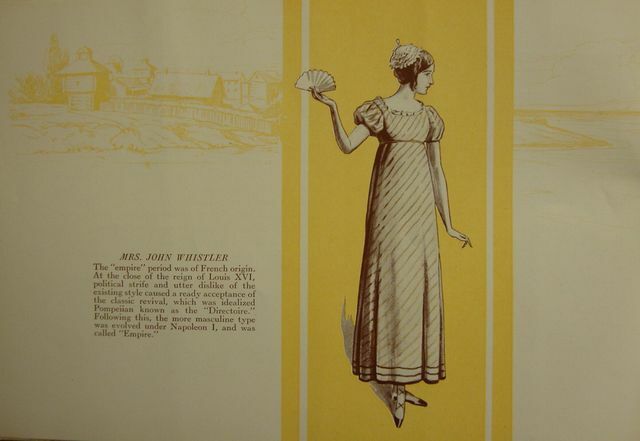 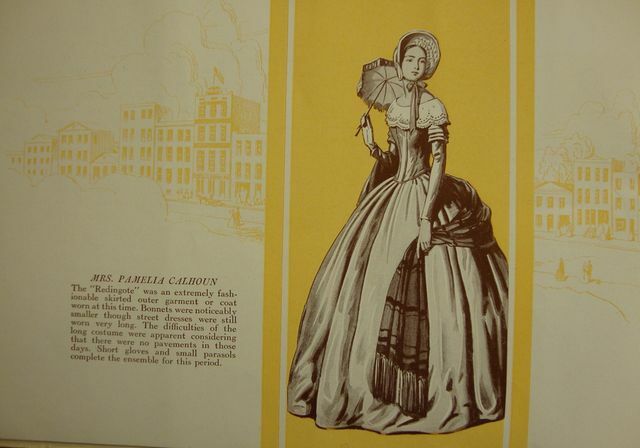 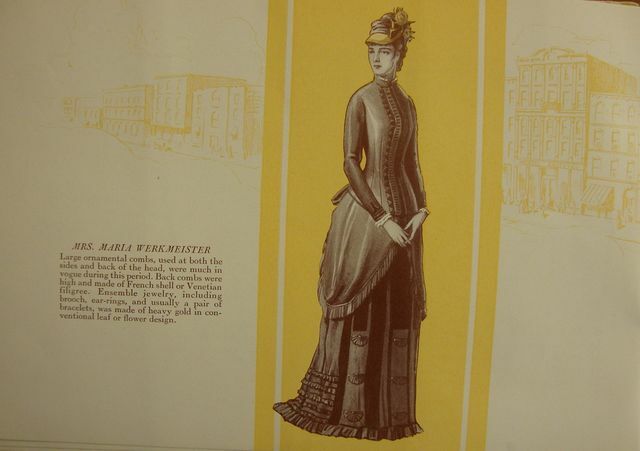 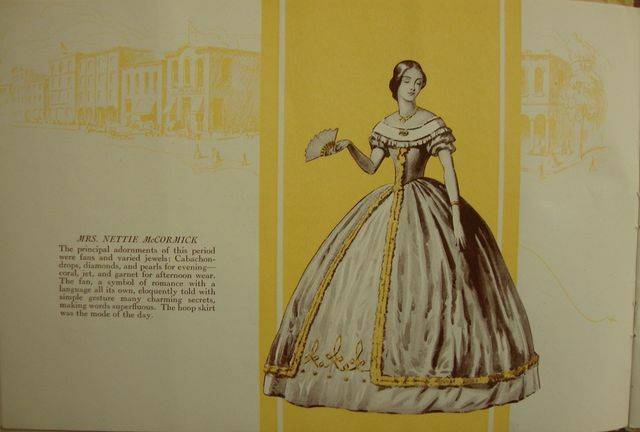 All sketches by Grell, including the woman with their elegant gowns and the historically accurate changing scenes of Chicago in the background over the years. 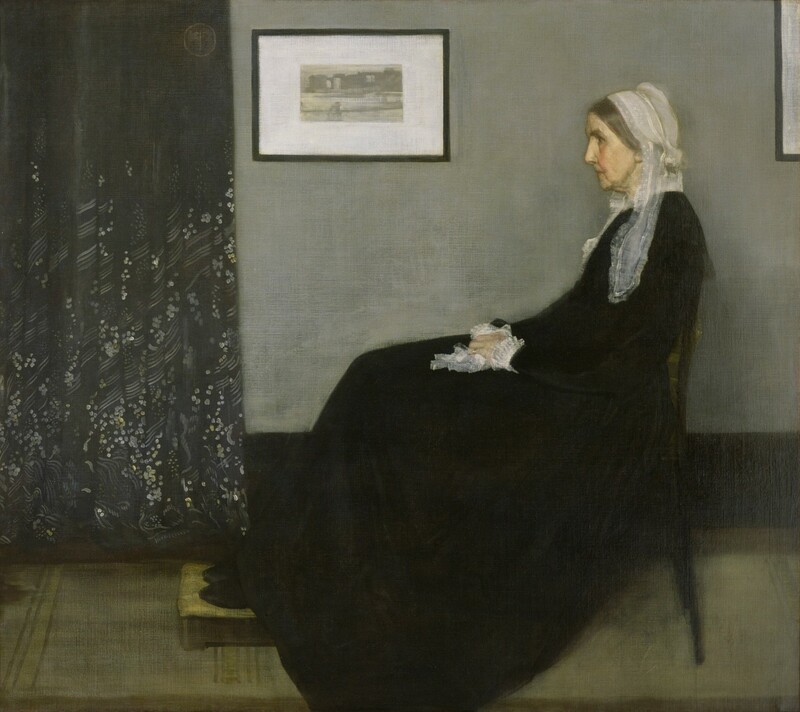 James McNeil Whistler (1834-1903) painted Whistler’s Mother (1871), fifty-nine years later Grell draws Whistler’s Grandmother (1930).